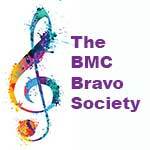 Sign up for Fanfare, the BMC's new eNewsletter. Each month you will receive an e-mail about upcoming events and programs, faculty profiles and articles of interest. Join our mailing list to receive concert brochure, invitations, and more. Note: The BMC will not share your information with anyone – period.